WhatsApp seems to be here to stay, thus it is a good idea to learn how to make the most of it, don't you think? 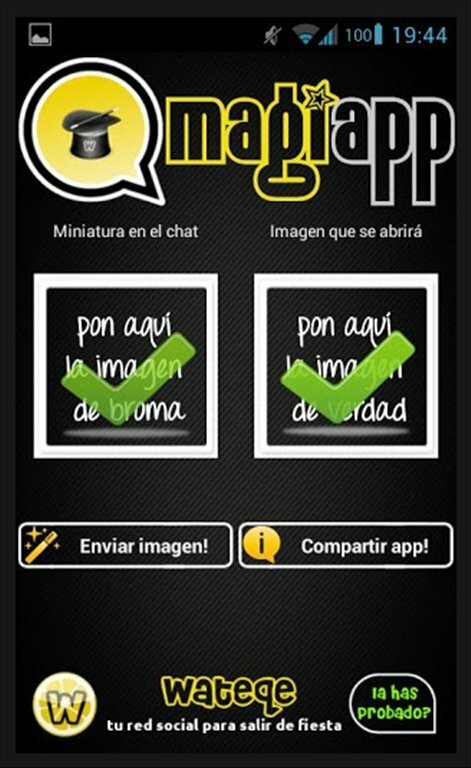 The instant messenger application allows you to send photographs during your conversations, but you may not know that there is a possibility to send false photos via WhatsApp. 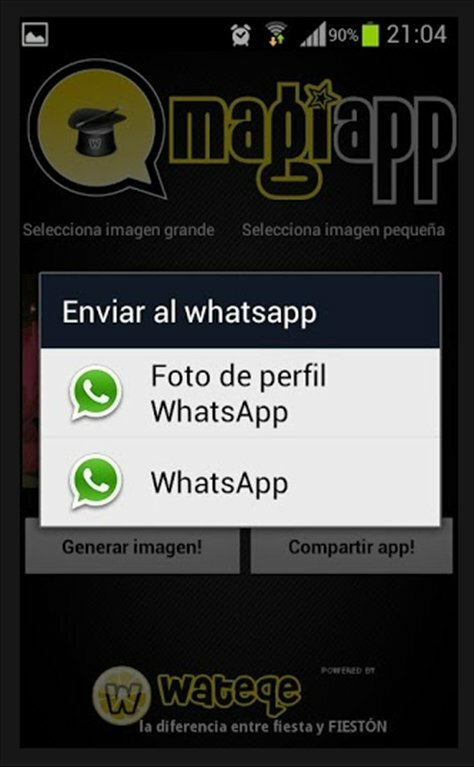 The only thing that you need is magiapp tricks for WhatsApp! Has a contact ever sent you a photo during a conversation and then the real content doesn't match the thumbnail? 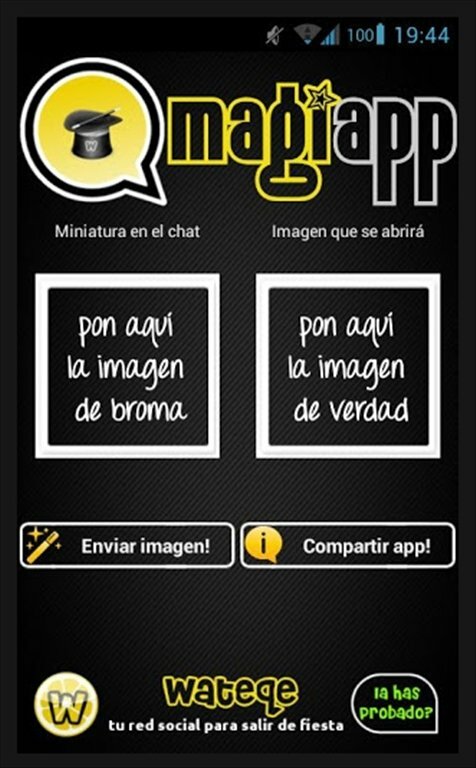 magiapp tricks for WhatsApp! is an application for Android which will allow you to send a photo with a thumbnail that when opened transforms into another. You'll be able to surprise your contacts sending for example a cute photographs of a cat... That is really the worst of the monsters that you can imagine. Rig WhatApp photos and play jokes on your friends. Define two images: one that will appear during the conversation and the surprise image visible when your contact downloads it. Start playing jokes on your friends once you download magiapp for free.